5.4 Earthquake hits the Molucca Sea. France – Heavy rains have left five people dead in the south of France between Friday evening and Saturday morning. Italy, Switzerland – Four people died when mudslides hit their homes in the border area between Italy and Switzerland overnight on Saturday, and a fifth was missing near the Italian port city of Genoa after days of torrential rains and flooding. 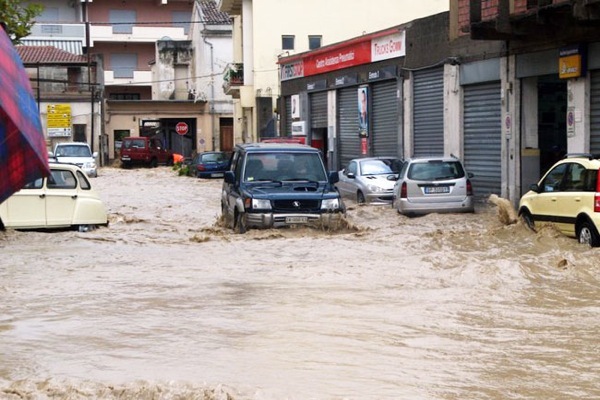 Severe storms over the past few weeks have again exposed the fragile state of infrastructure in many parts of Italy, where poor planning and widespread illegal building greatly increase the threat posed by flooding. Heavy rains for much of the past month have caused chaos in many areas of Italy, flooding city streets and causing hundreds of millions of euros damage, three years after seven people were killed in severe floods in 2011. Democratic Republic of Congo declared its three-month Ebola outbreak officially over on Saturday after 42 days without recording a new case of the disease. Congo’s outbreak, which killed 49 of the 66 people infected in the remote northwestern Equateur province, is unrelated to the outbreak in West Africa, where at least 5,177 people are known to have died in the worst Ebola outbreak on record.